The Best Chicago Food Blogs from thousands of Chicago Food blogs on the web using search and social metrics. Subscribe to these websites because they are actively working to educate, inspire, and empower their readers with frequent updates and high-quality information. 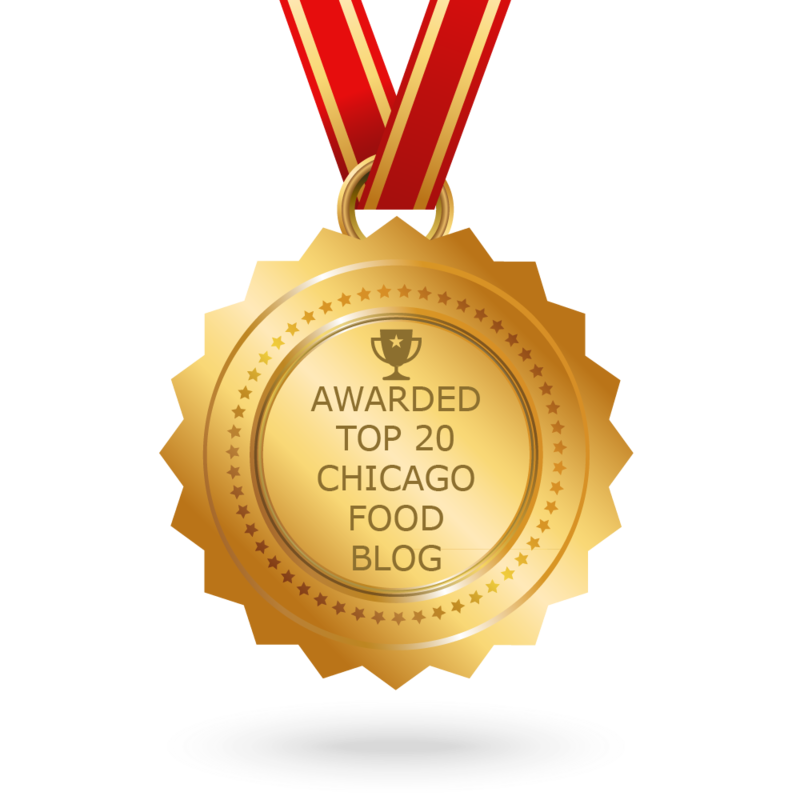 CONGRATULATIONS to every blogger that has made this Top Chicago Food Blogs list! This is the most comprehensive list of best Chicago Food blogs on the internet and I’m honoured to have you as part of this! I personally give you a high-five and want to thank you for your contribution to this world. Chicago Food newsletter is a comprehensive summary of the day's most important blog posts and news articles from the best Chicago Food websites on the web, and delivered to your email inbox each morning. To subscribe, simply provide us with your email address. Facebook fans 110,975. Twitter followers 90,133. Facebook fans 36,673. Twitter followers 12,927. Facebook fans 14,831. Twitter followers 2,008. Chicago, IL About Blog A Beautiful Plate is a seasonal food blog dedicated to simplifying the art of cooking. Whether it's through cooking guides and how-to's, artful plating, or delicious recipes, this blog sparks the inspiration and creativity in your kitchen! Facebook fans 27,886. Twitter followers 2,669. Chicago, IL About Blog Del's cooking twist - a food blog focusing on healthy flexitarian recipes & comfort food. All recipes are available in English & French. Facebook fans 49,038. Twitter followers 1,352. Chicago, IL About Blog The Kittchen features inexpensive, quick and healthy recipes, and Chicago restaurant reviews. Brought to you by the author of The Gourmet Grilled Cheese Cookbook. Facebook fans 5,631. Twitter followers 8,818. Chicago, Illinois About Blog Jordan is a recipe blogger and creator of Smile Sandwich, which she sometimes refers to as simply "The Sammich." She loves cooking with local, seasonal ingredients at home and exploring Chicago's restaurant scene. Facebook fans 1,798. Twitter followers 482. Chicago, IL About Blog You'll find restaurant reviews, tips on making food at home, and anything else related to food (and sometimes drinks). Facebook fans 348. Twitter followers 141. Chicagoland About Blog West of the Loop is about recipes for staying relevant, Cooking from scratch and DIY kitchen projects, to help more people to feel confident in the kitchen by sharing the recipes and techniques. Facebook fans 949. Twitter followers 2,756. Chicago About Blog Easy recipes perfect for busy weeknights and families! From Crock Pot Honey Garlic Chicken to Pumpkin Pie Cinnamon Rolls. There's a recipe for everyone! Facebook fans 806,545. Twitter followers 10,504. Chicago, IL About Blog Produced by the city's best writers and editors, Chicago magazine offers an award-winning combination of smart service journalism and provocative narrative stories, knit together with top-notch photography and elegant design. Facebook fans 157,720. Twitter followers 265,393. Chicago About Blog Sarah Baker is a certified holistic nutrition and health coach, motivational speaker, certified business consultant, and founder of the Balanced Babe brand. Facebook fans 3,474. Twitter followers 12,398. Chicago About Blog Chicago foodie girl is about food & adventure in the Windy City and beyond. Facebook fans 1,135. Twitter followers 3,417. Facebook fans 3,746. Twitter followers 1,376. Chicago, IL About Blog Katie Kelly is a 24 year old social media manager, and cooker/baker/blogger by night bouncing between Chicago and the south burbs. Facebook fans 361. Twitter followers 734. Chicago, IL About Blog Chicago Alphabet Soup is a food blog with delicious food recipes in Chicago. Facebook fans 2,113. Twitter followers n/a. Facebook fans 376. Twitter followers 940.